Fact: Aside from the small and detailed brushes I rely on to precisely blend eye shadow, the only makeup brushes I own are bronzer brushes. That's because I generally prefer to use my beloved Sigma Beauty 3D HD Blender ($15) or my fingers to apply and blend the rest of my makeup. Except, of course, when it comes to bronzer. There's simply nothing aside from a soft and fluffy bronzer brush that applies a single swipe of uniform color under my cheekbones. I've tried using a variety of beauty sponges and compact applicators, but it's not even a close race. I don't quite understand it, but it's the honest truth, which is why I consider myself to be (weirdly) passionate about this one specific type of makeup brush. You see, my bronzer brush has to be dense and soft with just the right amount of give in the bristles. Only then will it swipe on my beloved bronzer in a way that perfectly fakes a post-beach glow. As such, I was all too happy to do a little research and distinguish the great from the good from the bad. Here are 10 of the best bronzer brushes on the market, according to word of mouth, the internet, and myself. So go forth and be bronze. 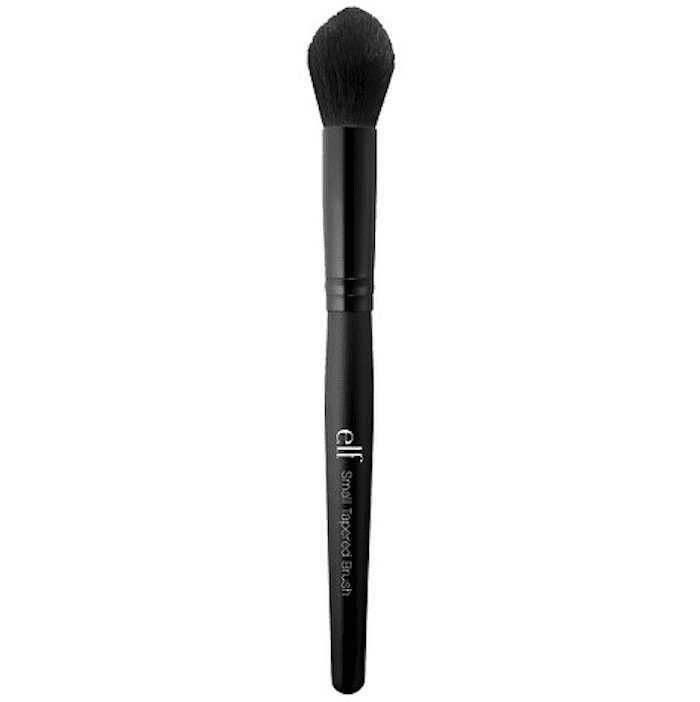 This BareMinerals brush was actually designed to be used in combination with the brand's Orginal Foundation Broad Spectrum SPF 15 Powder ($29), though it also works wonderfully as a blush and bronzer brush. The soft bristles dust just the right amount of powder onto the skin, resulting in a perfectly natural-looking wash of color. Although it definitely sheds its bristles more than some of my other brushes do, it's still worth it to me for the allover glow it provides when paired with my some of my favorite powder bronzers. While we're on the topic of favorite powder bronzers, I have two separate ones that are currently tied for top spot. 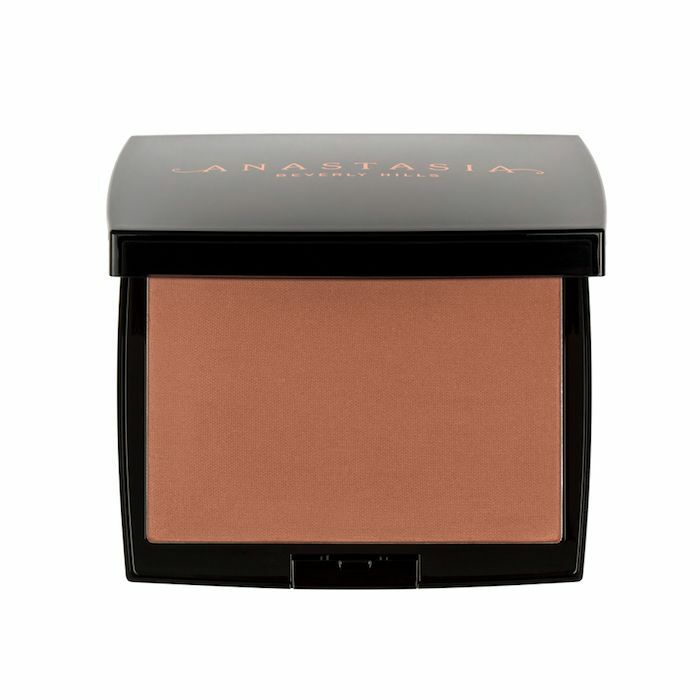 The first is this Anastasia Beverly Hills pick, specifically in the shade Saddle, which is a warm golden brown that suits my skin no matter if it's pale in cold midwinter or spray-tanned in late May. In other words, it's one of those rare universally flattering shades. I'm also a fan of the silky texture, which buffs easily into my skin. 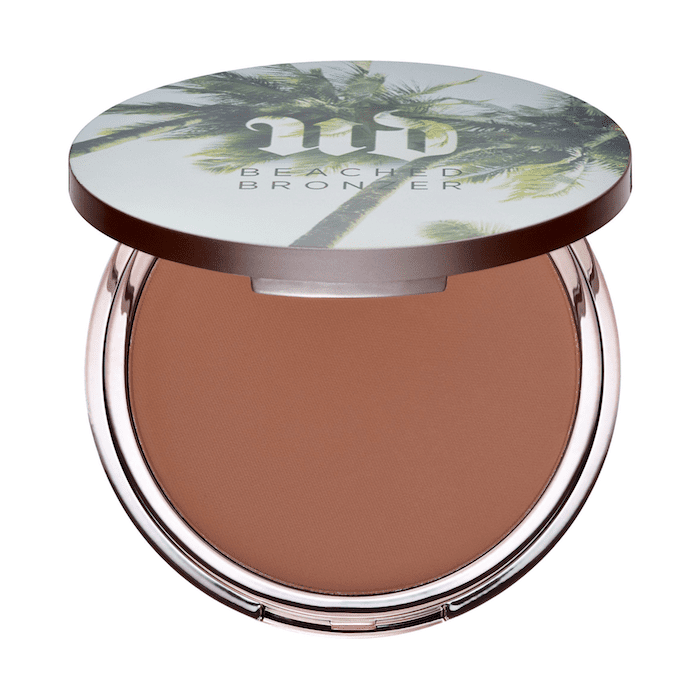 My second favorite powder bronzer du jour is this new matte Urban Decay compact, which is a part of the brand's new Beached collection. This shade, called Bronzed, looks darker than the medium-brown color that it is IRL. Nonetheless, the smooth and silky pressed powder swipes on easily and blends out effortlessly. I put it under my cheekbones to add definition, on my temples and jawline, and even along the sides of my nose for an allover glow. But back to brushes, which is our original topic. 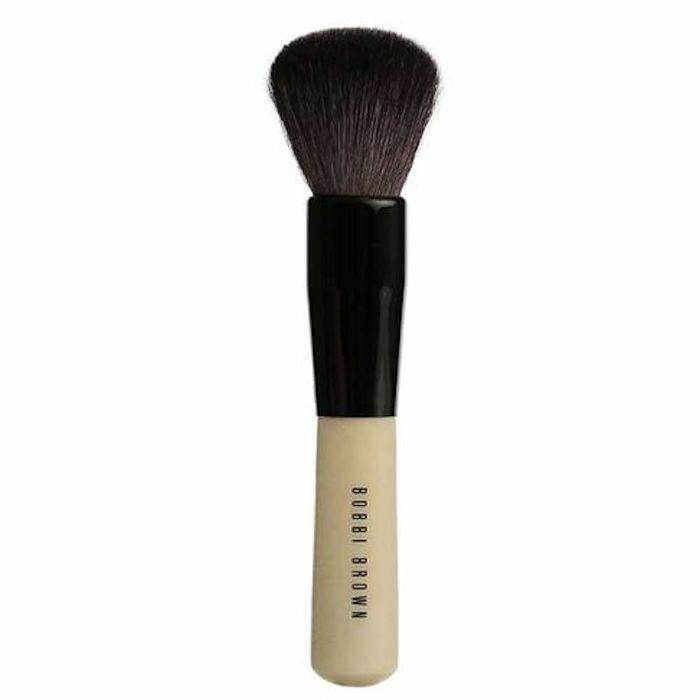 Next up is this rounded fluffy brush from Bobbi Brown. It might be expensive, but customers say it's worth it. Take it from one reviewer, who writes, "I've had this brush for over a year now. It was recommended as a 'must purchase' by a beauty industry relative. I love it! Daily use for a year now and almost no shedding to speak of or any change in performance. I thought it was crazy to spend that much money on a single brush, but it has provided foolproof bronzer application for a year (for a makeup newbie) so for that I am very thankful!" If you're looking for something budget-friendly, look no further than this sculpting brush from Real Techniques, which is the classic drugstore makeup tool brand. 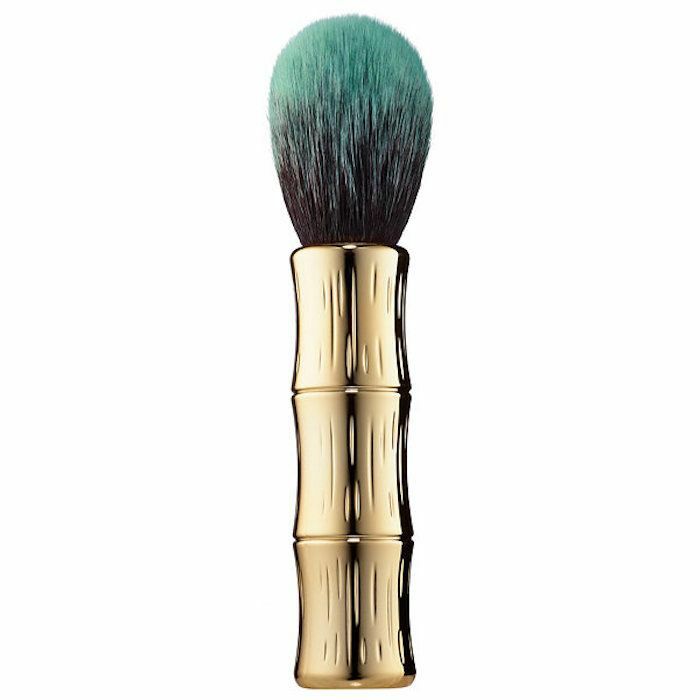 Its dense bristles and angled head make it perfect for precise bronzer application (which comes in handy especially if you like to use traditional bronzing powder as contour, like I do). Another high-end hero, this Marc Jacobs bronzer brush is perfectly tapered to get into the hollow of the cheeks, the curve of the jawline, and the depression of the temples. It was designed to be used alongside the brand's O!mega Bronzer ($49). As one Sephora reviewer writes, "This brush is amazing. Super poofy, super soft and does wonders for applying bronzer. I can't believe I've lived this long without this brush in my collection." Kat Von D is a fully vegan beauty brand, which extends to its brushes as well. 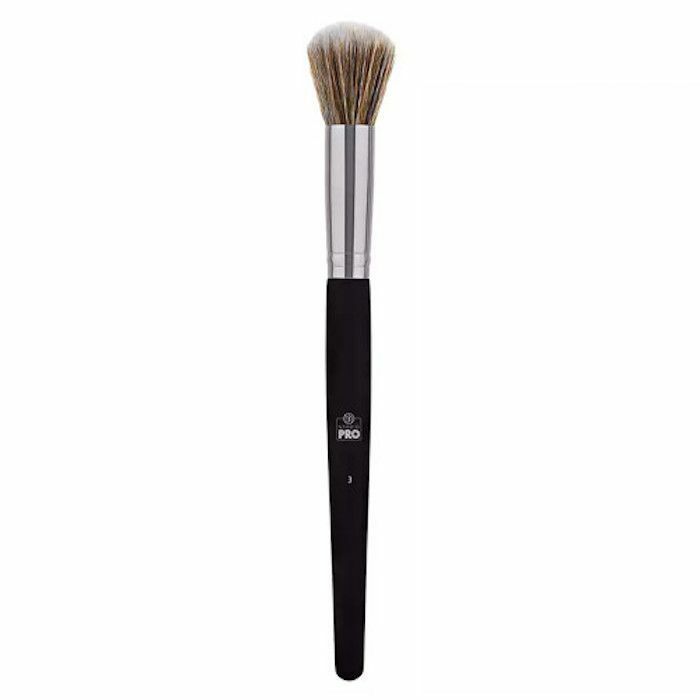 The white-tipped synthetic fibers on this angled contour brush are super plush and flexible, which means they distribute pigment exceptionally well. It was designed to be used alongside her Shade + Light Contour Palette ($49), which includes six refillable matte highlight and contour shades (the latter of which I use as bronzer, too). It's the real deal. BH Cosmetics is an underrated destination for makeup brushes. Each one is incredibly inexpensive (like this small contour brush that goes for only $4). They're surprisingly high quality, too. I know I have a couple of BH Cosmetics brushes in my collection that have lasted me more than two years. But I digress. 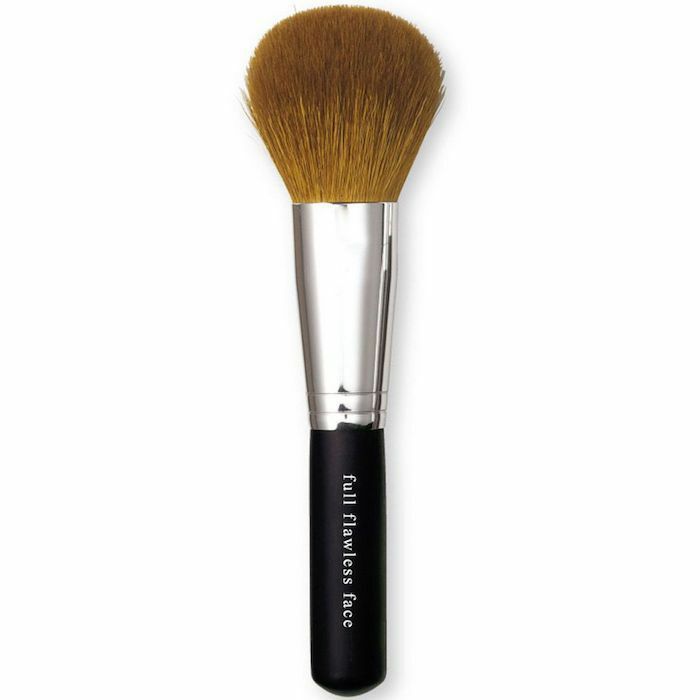 This small brush head features cruelty-free fibers that allow for impactful application of bronzer. Basically, what I'm saying is that I'll reach for this brush if I'm going for a standout, Victoria's Secret model–sort of glow. 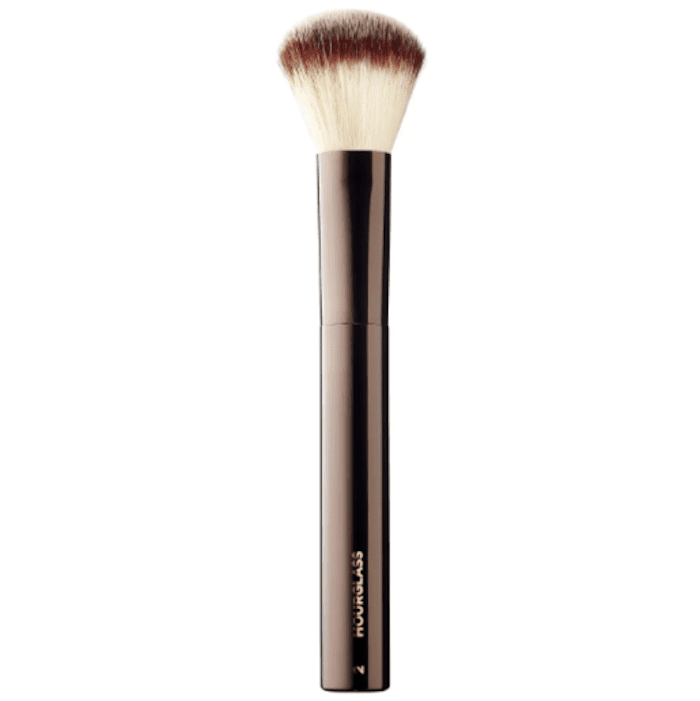 Hourglass's Foundation/Blush Brush is another that can double as a soft-bristled bronzing tool. (Like I said, I don't use brushes to apply foundation, so I've found another use for this one in the form of a bronzing brush.) 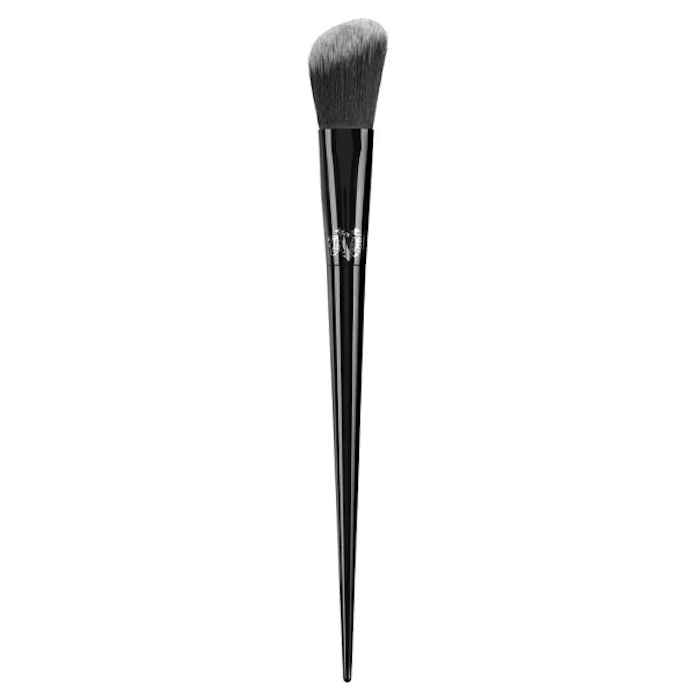 It has over 8000 "loves" on Sephora's website, with reviews like this: "This brush picks up just the right amount of powder, great for layering and using with blush or foundation. I haven't tried it with liquid foundation, but I'm sure it gives quality results with that too! Definitely a must have." 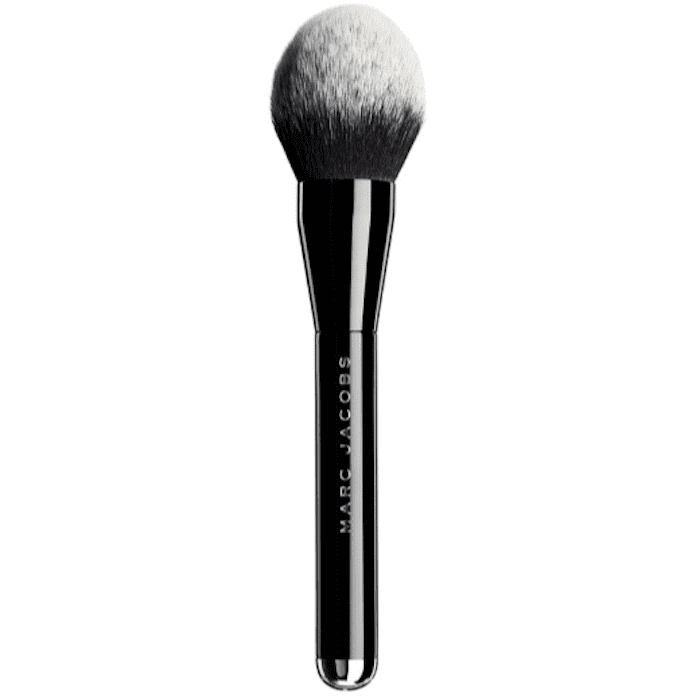 We know what you're thinking: $115 for a single brush sounds kind of crazy. However, it's definitely an option for anyone looking to purchase something luxurious and long-lasting. The chic white fibers are naturally sourced and super soft for seamless application of powder bronzer. It can be used to apply a thin, ghostly layer of bronzer or a bolder, more impactful layer. Sephora customers are obsessed. "I don't know what magic is in here, and I am a practical person by nature," writes one. "It just blends so beautifully and has a wonderful way of placement for bronzer and even blush. It's a high-quality workhorse. Life is too short. Buy the brush. You will thank me." How's that for a glowing review? We're going from the most expensive brush on this list to the least expensive. 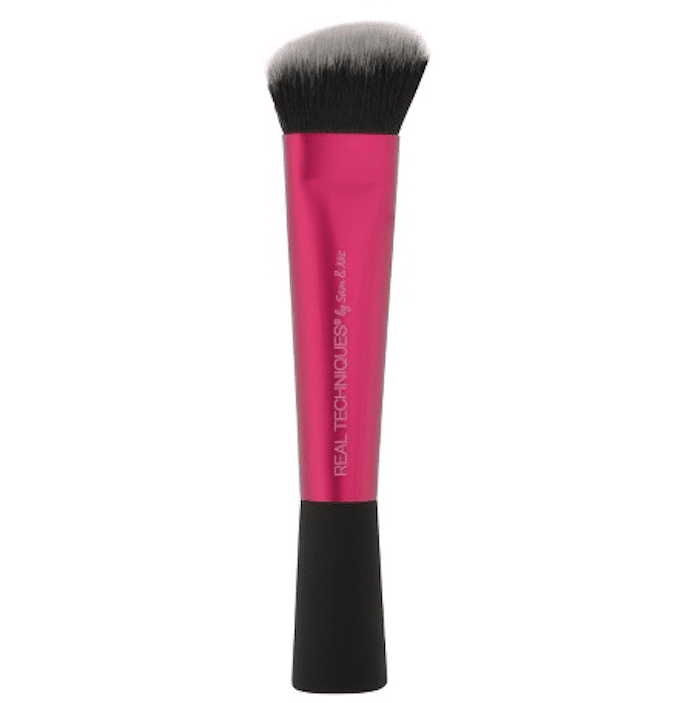 This one's widely available at drugstores everywhere and has a small tapered head that can be used to apply liquid, cream, or powder bronzer. Since so many other bronzer brushes are only meant for powder exclusively, I like to pair this one with a cream formula. That cream formula that I pair the E.l.f. 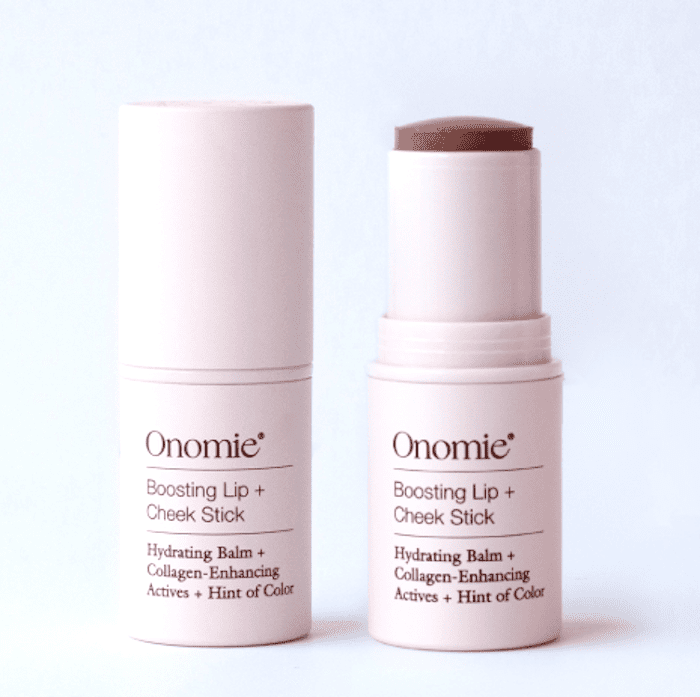 brush with is this Onomie Boosting Lip + Cheek Stick. It's not technically a bronzer. It's more of a multi-use color stick. However, I use it as a bronzer since the matte brown shade is just the right color for me to apply in the hollows of my cheeks and along my jawline for definition. I like using it as such since it hydrates, plumps, and increases my skin's natural collagen production. It's kind of like skincare and makeup got married and created this little gem. The Onomie stick is the only makeup product I'm wearing here (aside from a coat of Urban Decay's new Troublemaker Mascara $24). I love how it's easily blend-able to provide a believable and natural-looking all-over glow that's sans shimmer. But don't just take my word for it, because I'm not the only one who loves these little color sticks. Read a full review of this makeup/skincare product by not one but two separate Byrdie editors. Benefit's bamboo-inspired bronzer brush is domed into a perfect circular shape for defining the face with bronzer and/or contour powder. Sephora customers are certainly big fans. 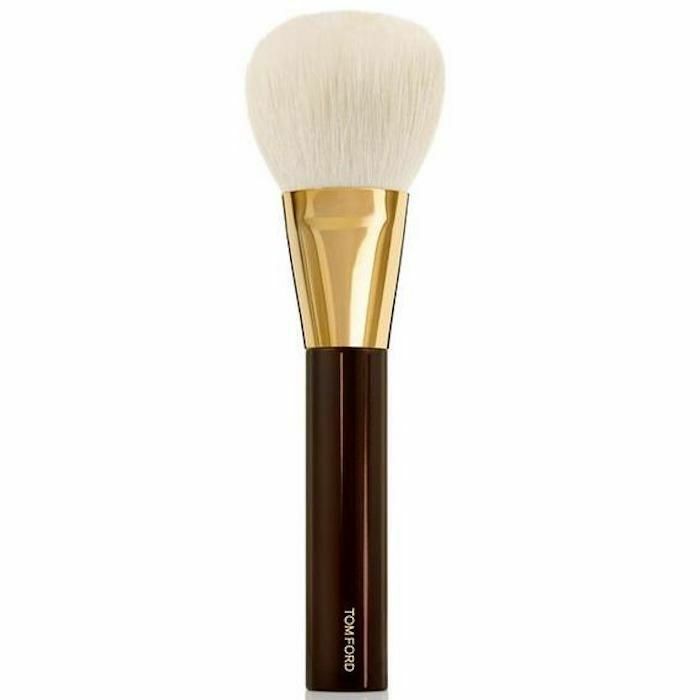 One of the many reviewers writes, "I absolutely love this brush, it's just soft enough, and just the right shape to bronze up & softly contour the face. The color & details make it all so much cuter!! Only brush I use for bronzing/contouring now!" Now that you know about the best bronzing makeup brushes (and a few product recommendations too), see the best bronzer for your specific skin tone.